Two years since she came in the public eye with her notorious declarations during the 2011 cricket world cup, Poonam Pandey is all set to make her silver screen debut with Nasha. Dressed in a shimmery gold sari which she teamed with a gold bikini-like blouse, the debutante attended the film's trailer launch at PVR theatres in Juhu, a western suburb of Mumbai. Nasha is a coming-of-age story of an 18-year-old boy who falls madly in love with a much older woman. The film's director Amit Saxena, who previously helmed Bipasha Basu and John Abraham starrer Jism, said, "It is about the bold choices that a young boy and older woman make in the story." A visibly ill-at-ease Pandey seemed happy to take a backseat for once, as her director answered most of the questions directed at her. Asked whether it would not have been better for her if she concentrated on a film career instead of resorting to gimmicks, the starlet replied, "Yes, I did that but now I am acting in films. You look at it and then judge me," she replied. Interestingly, she also repeatedly mentioned her controversial bathroom video. Saxena, on his part, stressed on the 'innocent and sensuous' nature of the film. According to producer Aditya Bhatia, the script and the actress came first. "After we got the script, we took about 15 days to think who we should cast for the role. We wanted an enigmatic person for the role and Poonam fit the bill." About romancing a youngster in the film, Poonam said, "I have never dated older man, so I wouldn't know about that, but I enjoyed romancing a teenager." Mukesha Bhatt, who turns 60 today, came for a few minutes to wish the director well. 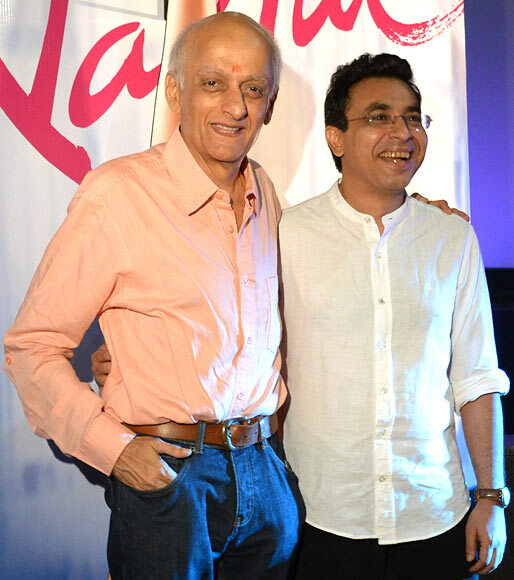 Amit Saxena has worked as an editor on many Bhatt films. Nasha is slated to release on June 26. PIX: Bollywood's MOST IMAGINATIVE makeup, over the years! Ranbir-Deepika, Saif-Kareena: The best couples on screen? VOTE!